With the golf season well under way, it seems the spikeless revolution is here to stay. Nike have added two new spikeless shoes to their current range in the form of the Lunar Mont Royal and Lunar Waverly shoes. Both will join the stylish Lunar Clayton model to make up the company's current spikeless line-up. The Mont Royal shoe is a bright, lightweight, athletic-looking golf shoe designed to pay tribute to Nike's history of running shoes. Anyone born before 1970 may be familiar with running legend Steve Prefontaine. Credited with inspiring the "running boom" of the 1970s, Prefontaine ran in Nike's first signature shoe, the Nike Montreal, launched in 1975. Now, nearly 40 years later, Nike have brought the Montreal's color block design and running-inspired silhouette to the golf course with their Lunar Mont Royal shoe. 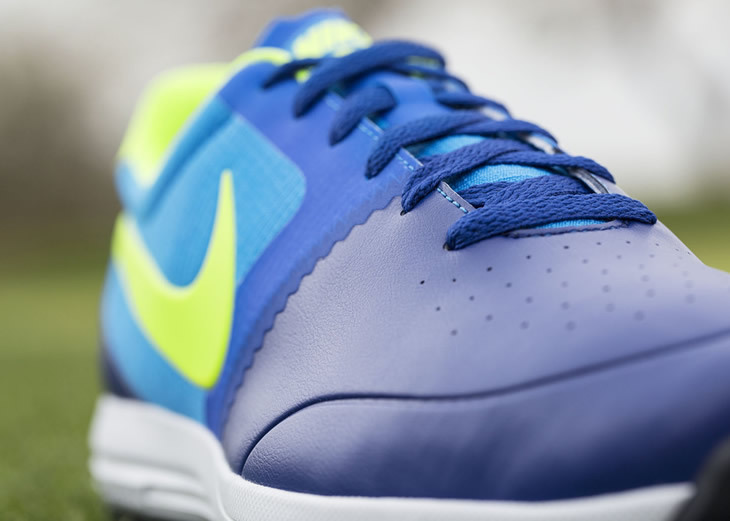 The Nike Lunar Mont Royal features no-sew technology in the midfoot giving the shoe a clean, slick, modern look. Like the Lunar Waverly, it also features Lunarlon foam in the heel, giving the Mont Royal a comfortable, running shoe feel on the course. 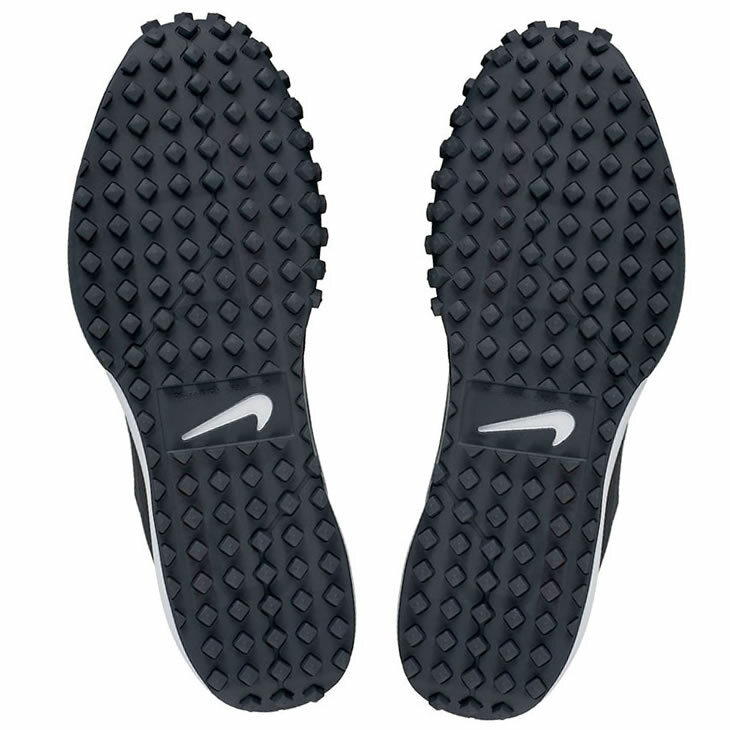 Any Nike aficionado will know that Nike's original running shoes were designed with Phil Knight's "waffle soles". The Lunar Mont Royal shoe features a modern take on that waffle design, with Nike's designers allowing the outsole to roll up around the toe and inner side of the shoe to maintain traction as the foot pushes off the ground. The Lunar Waverly and Lunar Mont Royal were inspired by classic Nike footwear styles, and we adapted those designs for athletes who want a golf shoe with versatile appeal. These shoes have incredible performance technology that are great for playing 18 holes or wearing before or after the round, too. You can hit balls at the driving range on your lunch break without ever changing your shoes. These styles are modeled after some of Nike’s first shoes but modernized to perform specifically for golf.